Bow NH Public Insurance Adjusters | Pipe burst, ice dam, water damage claims experts. Winter storm insurance claim experts helping Bow NH home owners and business owners with frozen water pipe bursts, ice dams, and structural collapse insurance damage claims. 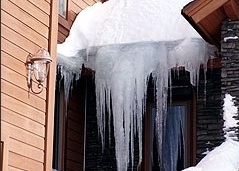 Global Patriot Adjusters can help Bow, NH policyholders with their ice dam insurance claims. We get you maximum payout and take the pain out of the process. Global Patriot Adjusters can help Bow, NH policyholders with their pipe burst and water damage insurance claims. We get you maximum payout and take the pain out of the process. bow, NH is located near concord, nh. Bow is a somewhat small town located in the state of New Hampshire. With a population of 7,734 people and two constituent neighborhoods, Bow is the 40th largest community in New Hampshire.